Experience the Gulf of Mexico like never before at Turquoise Place in Orange Beach, Alabama! Directly overlooking the emerald green Gulf waters, each luxurious condo is equipped with an array of amenities, exceptional in both quality and style. The kitchen includes Subzero/Wolf appliances, granite counter tops and European style cabinetry. The separate wet bar comes with a Kitchen Aid wine cooler along with a sink and ice maker. Every unit comes standard with a gas fireplace, HD flat screen TV, 10 foot ceilings and floor-to-ceiling windows throughout. On each private balcony, owners and guests enjoy yet another kitchen complete with a natural gas grill and a jacuzzi hot tub! Turquoise Place condominiums offer 3, 4 and 5 bedroom luxury gulf view suites. The 3 bedroom suite is 2,301 square feet, plus a 403 sq. ft. balcony. Each bedroom has an attached bathroom for privacy and convenience. The 4 bedroom suite boasts 3,504 sq. ft. of living space, 3 full bathrooms and one powder room. Also, enjoy two separate massive balconies totaling 1,092 sq. ft. from which to enjoy breathtaking views of white sands and emerald waters! Finally, the 5 bedroom penthouse suite provides an expansive 4,756 sq. ft. of living space with a huge 920 sq. ft. balcony! Each bedroom has its own attached bathroom, as well as a powder room for guests. All suites come with a full size laundry room equipped with a sink and GE front loader washer and dryer. Aside from the exquisite accommodations of the private suites, the resort amenities are sure to please every member of the family. There are a total of 5 pools, 2 of which are heated and indoors, with underwater speakers! Enjoy live entertainment at the main outdoor pool during the summer months, in addition to another pool at the east tower and a separate children’s pool for toddlers and babies. On the fourth level, a lazy river, heated during the spring months, and tennis courts are available for guests’ enjoyment. Professional Spa Services, a fully equipped fitness center overlooking the water, and a poolside restaurant top off the numerous options available to provide the perfect vacation experience, all awaiting you at Turquoise Place Resort! 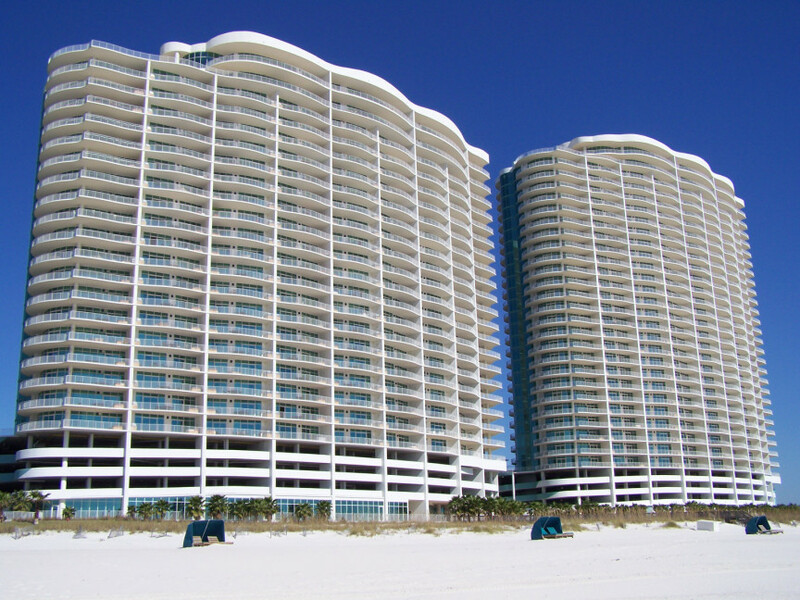 Tour Turquoise Place Orange Beach condos for sale with the expert homebuyer representatives at Jason Will Real Estate 251-866-6464.